Haven’t you guessed by now? I’m all about strong women. Grrls aside, my female protagonists know that it takes a woman to make it in a man’s world, and even though they’re willing to compromise, that doesn’t include their principles. This includes Charlotte Andreko, Esq. 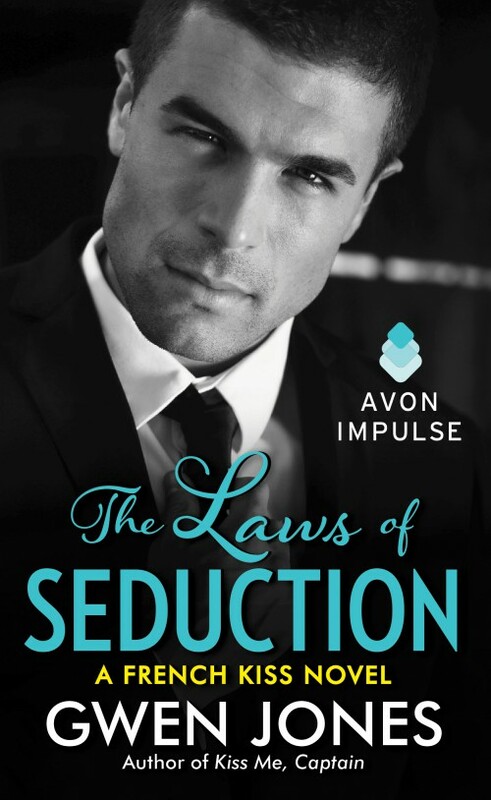 in The Laws of Seduction, my latest in the French Kiss series, which will make its e-book debut one month from today on 18 November. You see, when Rex Renaud, the COO of Mercier Shipping, is arrested for a crime he didn’t commit, he knows he’ll need a miracle to clear his name, and he calls on Charlotte, a non-nonsense feminist lawyer, to defend him. Why? Because truly strong men are attracted to equally strong women, and in Charlotte, he’s more than met his match in intelligence and wit. Read the first chapter here, then perhaps pre-order a copy. Watch for a blog book tour coming next month and as always, thanks for reading. I’ll be hanging tomorrow at the Collingswood Book Festival in South Jersey, which for those latecomers is October 11, 2014. Be there or be square! I discovered something about the nature of a long-term relationship last week when my husband and I decided to go away overnight. It was an impromptu trip, as we had come into a little extra cash and we hadn’t been away as a couple in four years. 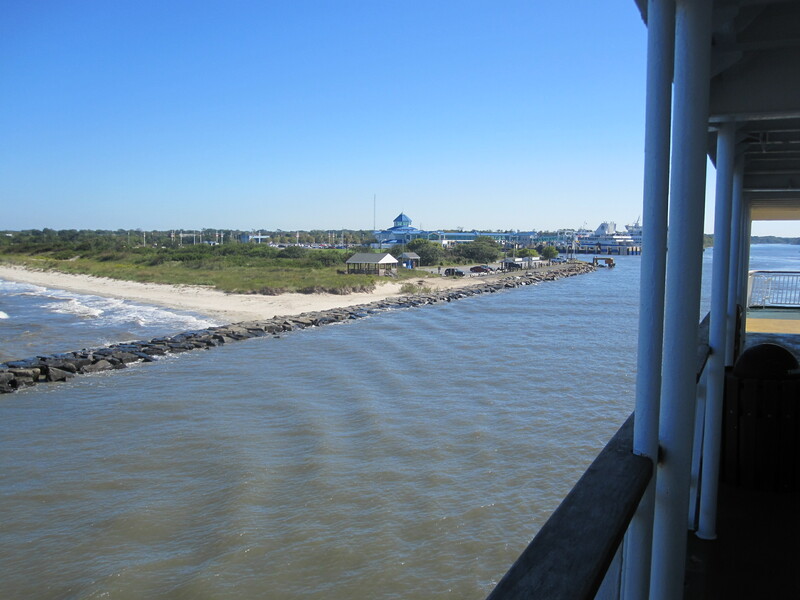 So I rushed to make hotel reservations as well as booking a spot on the Cape May-Lewes Ferry (that’s Cape May receding from aboard the Cape Henlopen). We were to take the ferry over in the morning, then spend the afternoon and night in the charming coastal town of Lewes, Delaware. Which is exactly what we did. No sense giving you our travelogue–which was, briefly, the Delaware Bay crossing, a stay at a lovely downtown hotel, the Hotel Rodney, a visit to the state park, dinner on the canal at sunset, etc–but that’s not the point I’m wanting to make. The point is how a couple can change when they’re out of their milieu, how that change is a barometer of the true state of their relationship, as well as a portend of what they can expect when they come home and return to their reality. Let me explain. Yes, it was better. He was better–I was better. There’s something thrilling about a mussed-up bed in the afternoon (especially when you return from dinner and find it made up with those mints atop it). Being silenced with a kiss. Trotting downstairs to a hotel alcove past midnight for a can a Coke and Chex Mix–you’re starving, after all–wearing just a cardigan and the jeans you snatched from the floor. Finally falling asleep who-knows-when. Strange. We’ve been married well over twenty years, but the man I spent the night with surprised the hell out of me. His reactions to the newness all around us made him as fresh to me as if I just met him, giving me a new, exciting perspective on him. In those thirty-six-odd hours we spent together, I fell in love all over again. Why am I mentioning this? Well, my goodness, remember what I write? How can I impart those first rushes of romance if I can’t feel it from the inside? How convincing would I be then? It’s a wonderful feeling, living the romantic life. Recharge often.